Every once in a while a brilliant car comes along that's saddled with a major Achilles Heel. A demerit that's big enough to virtually wipe out all its merits. Think Lotus Elan or Jaguar XJ6 or in fact any TVR-engined TVR. There are few cars, if any, that snatched defeat from the jaws of victory quite so comprehensively as the diminutive Alfasud. In 10 short years the Sud became a watchword for failure, a brilliant car that was simply impossible to live with. The car's reputation for recalcitrant took a simple form: rust. Buyers could perhaps live with the unreliability - after all, the Alfasud shared parking space with Allegros - but watching new cars literally disintegrate before their eyes was less palatable. Many will be familiar with the Sud's story: a small car built near Naples to provide work for tomato pickers, or so the story goes. Inevitably the truth is a little more complex. Under state ownership, Alfa was tasked with creating a mass market family car. They brought in Rudolph Hruska, who had worked on the recently launched Golf. Given a considerably cleaner sheet he devised a space efficient hatchback-esque car with more than a drizzle of Alfa DNA. The Sud was innovative where the Golf was pedestrian: FWD, inboard brakes, complex suspension and innovative Boxer engine to improve space and handling. The Italian Government may have imagined a fairly ordinary people's car. What Alfa gave them was an advanced, brilliantly engineered saloon that brought sports car standards to the humble family car market. The car, as the name suggests, was to be built in an ex-aircraft factory near Naples, mainly for political expediency. Much has been made of this decision, attributing it as the cause of the car's poor quality. There is perhaps some truth in it, but in reality most car building at the time was shoddy. The problem was perhaps building a fairly complex car in a new factory with new staff. Suds weren't built particularly well, but it was rust that sealed the car's reputation. Like contemporary Lancias and Fiats, they disintegrated with incredible speed. Two factors seemed to be at play: firstly, poor quality Russian steel with foam injected into the cavities. Secondly, high volume sales into wet countries. The rot wasn't such an issue in Alfa's core Italian market, it was more of a problem over here. The quality and rust problems have tended to make the Alfasud something of a forgotten hero. It rarely features in magazines nowadays and with just 50 left on the road inevitably rarely sighted. In period the car's reputation for rust meant it was often overlooked by buyers and the media. All of which tends to disguise how incredibly good the Alfasud was. Road testers adored it. Buyers loved it. 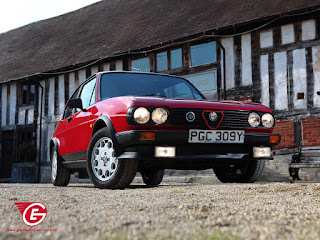 Mention Alfasud and chances are someone will know someone who loved them and had several. The Alfasud's handling, steering and driveability embarrassed far more exotic cars. It did that thing that few modern cars can ever hope to achieve: turn a simple run to the shops into a proper drive. The Golf GTI might have been a far better all-rounder, but it was the irritating school prefect to the Alfasud's flawed genius. When I bought my first Alfasud in the late 90s the model was the pariah of the Alfa Romeo Owners Club. The Sud was blamed - perhaps rightly - for Alfa's nosediving reputation and it was dismissed as not being a proper Alfa (because it wasn't built in Milan). With few supporters it's not hard to see why the Sud has often missed out on the plaudits it genuinely deserves. Today the Alfasud is all but extinct. They rarely come up for sale and values are finally rising quickly. Few mass produced can be quite so rare now. But its reputation is finally being reclaimed. Alfa may have shunned the late 90s reborn Alfasud (which became the Seat Leon) but today they're more comfortable with its legacy. 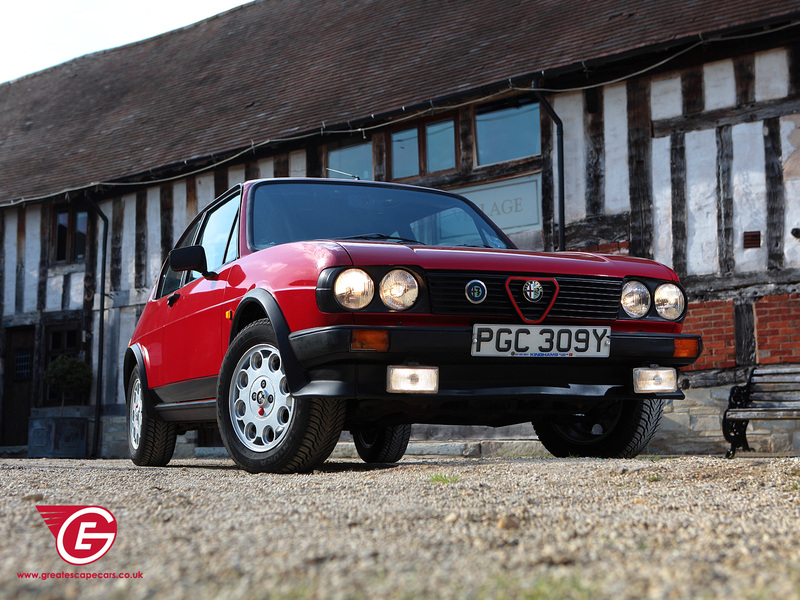 After all, the Alfasud is arguably Alfa's best car of the last 40 years. Other cars may have done the job of family wheels far better but none have left a legacy quite like the Alfasud. Its too old but you maintan very well i really appreciate to you . looking very out standing interior i love this types of modifide cars . There's still a surprising number of 'suds here in Tasmania, Australia. The later Sprints are even more popular. My neighbour's flogging his for AUD$150 and it actually goes. However, the rust has pretty much killed it. Too big a project for me, sadly. Wow, tell him to ship it over here: the best Sprints are now £13k+ and good Suds are £7k.